Jimmy Fallon is in the perfect position to have a shot at the "Tonight Show" chair, TV critics say. Jimmy Fallon is in a good position right now to be the next host of "The Tonight Show"
(CNN) -- Now that Conan O'Brien is out as "Tonight Show" host and Jay Leno is back in, Jimmy Fallon may have quietly positioned himself to be next in line to take the behind-the-desk throne. As NBC tries to recover from the self-inflicted blow to its own brand, the best move for Fallon is to continue to stay quiet and wait and see what happens, said Stuart Levine, assistant managing editor of the entertainment trade publication, Variety. "One thing in Jimmy's favor is that he's more well-known. When Conan started, no one knew who he was. People know Jimmy from 'Saturday Night Live,' but I don't think he's turned [that experience] into being a talk-show host. It takes time," Levine said. "But there's no pressure on him at this point. He should keep his head low, put on a good show and try not to worry about the ratings too much. NBC won't touch late-night; they need to worry about their prime time." Fallon's in a position right now where the expectations aren't too high, said Kansas City Star television critic Aaron Barnhart, but that doesn't mean people won't be watching for signs of success. "He's not expected to deliver a huge audience at that hour. But he is expected to deliver a young audience, and that audience will be, in the overall scheme of things, the future audience of 'The Tonight Show,' " Barnhart said. "When Fallon graduates to 'Tonight' -- which he's on a very smooth course to do -- he'll have that expectation hanging over him." But by all accounts, from fans and nonfans alike, Fallon, an improv whiz who'd honed his skills co-anchoring 'SNL's' "Weekend Update" alongside Tina Fey, still has a lot to prove before he's ready to sit behind the "Tonight Show" desk. "He can get there, but that sort of thing takes time. As we say in our businesses, it's the time in the rings," said Judy Carter, founder of Comedy Workshop Productions in Los Angeles, California, and author of "The Comedy Bible." Like O'Brien, Fallon has roots in improvisation, she said, which means he's a bit looser and can stay a step ahead of the joke, unlike Leno, whose comedic timing was honed doing stand-up. 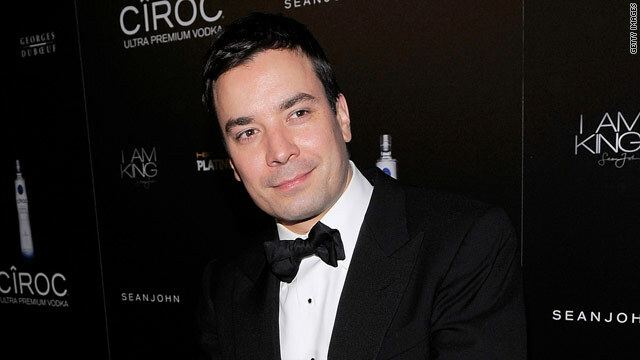 "Fallon's a very talented guy," Carter added. "When he did 'SNL' and he did his sketches, they were funny and worked for 'SNL,' but I think his commitment level to his comedy is going to have to be more confident. [Right now] it looks to me like he's wearing his father's suits." Another issue is that Fallon has the tone and tenor that draws a younger crowd -- something in common with his "Late Night" predecessor, whose irreverence was faulted for failing to attract a more mature audience on "The Tonight Show." "If Conan didn't work, who's to say Jimmy would?" Levine asked. Yet there are some cards Fallon carries in his favor, Barnhart said, ones that O'Brien didn't have the luxury of possessing when he started his hosting gig in 1993. "Fallon's contract isn't being torn up the way O'Brien's was. Conan had a really rocky start. The contract he [originally] had was for one year and NBC tore that up about halfway through and subjected him to a series of about 13-week renewals. He had to agree to it or he'd be fired," Barnhart said. "Jimmy was never in that kind of hole with the network." Nonetheless, he added, "three or four years down the line, if he's still not as compelling a personality as O'Brien, that's a problem." Although Fallon's positioned to be crowned the next "Tonight Show" host, in the end, it will really come down to how long Jay Leno stays -- for the second time around. "It's all about timing," said Janette Barber, executive producer of "Rosie Radio" on Sirius satellite radio. "Leno still has a huge effect on it -- if he fails, that tanks the spot itself." Barber, who personally adores Fallon -- "he's charming, he's adorable, he's funny ... what's not to like?" she said -- thinks he may never even get a chance to helm "Tonight." "I think the franchise of 'The Tonight Show' could be destroyed after this. If Leno stays for 10 years, I think Fallon does have a chance to grow. But if Leno only stays for another one or two years, I see them putting someone completely different in the slot, or the franchise goes away entirely," Barber said. The Comedy Workshop's Carter agreed, saying that NBC "has boxed comedy in like royalty, and it's antithetical to the whole essence of comedy. I'm pretty sure that this whole format is going to change because there's going to be too much competition from cable. They may do something really radical and go with someone who isn't white and male and in a suit." And even if NBC decides to hold on to "Tonight," Barber said that right now, "Jimmy has the same problem Conan does: they're innovative, edgy and they play to a younger crowd. If NBC wants less edgy for 'Tonight,' then they have a problem."